It is possible for the loss of even one tooth to have negative long-term effects on the overall oral health of your mouth and gums. To prevent the loss of teeth or needing to have a tooth extracted, it is important to faithfully carry out good oral hygiene and regular check ups at your dentist. 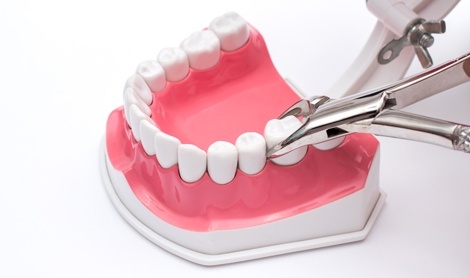 However, sometimes it just becomes absolutely necessary for your dentist to extract one or more teeth. While a good dentist is always looking to preserve your natural teeth, he may at times be forced to advise you to have a tooth extracted. He will use x-rays to give him as much information as possible about the tooth and its possible extraction. If the case is especially difficult, it may be necessary for him to refer you to an oral surgeon to perform the extraction.